Lu Chan (Jayden Yuan) is still trying to find his place in Chen Village, the legendary town where everyone is a martial arts master…and Chen-style Tai Chi is forbidden to outsiders. But since he helped save the town from a frightening steam-powered machine, Yuniang (Angelababy), beautiful daughter of Grandmaster Chen (Tony Leung Ka-Fai), agrees to marry Lu Chan and bring him into the family. It’s only a formality, though – she is the teacher, and he is the student – and that suits Lu Chan just fine, as the mutant horn on his head gives him incredible kung-fu power, but leaves him dumber each time, and closer to death. Chen Village still stands in the shadow of danger. A prodigal brother returns, Lu Chan’s presence invokes a curse on the town, and Yuniang’s scorned fiancée has an appetite for revenge, as well as some new partners in crime. 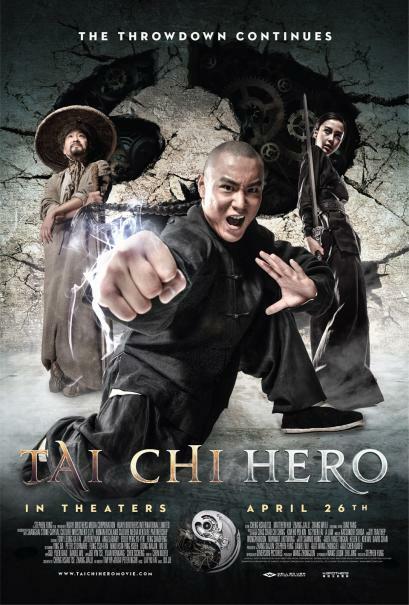 The second in a trilogy from the creators of "IP Man" and "Detective Dee," and featuring action directed by the legendary Sammo Hung, "Tai Chi Hero" is a full-on, steampunk-infused, video game-influenced kung fu throwdown that will knock you out of your seat.